Neptune, a hatchling born on Aug. 8, is the new loggerhead ambassador at UGA's MAREX Aquarium. 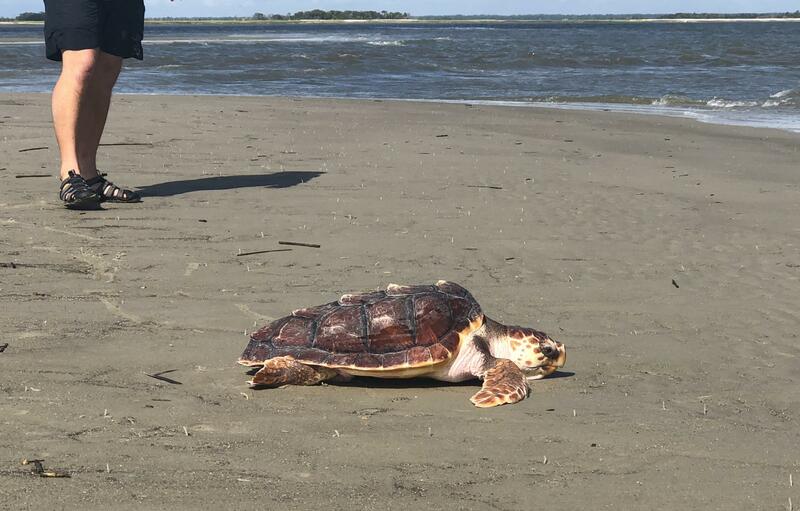 Neptune will spend one year in the small tank, a year in a medium tank and a third year in a large tank before being released into the ocean. 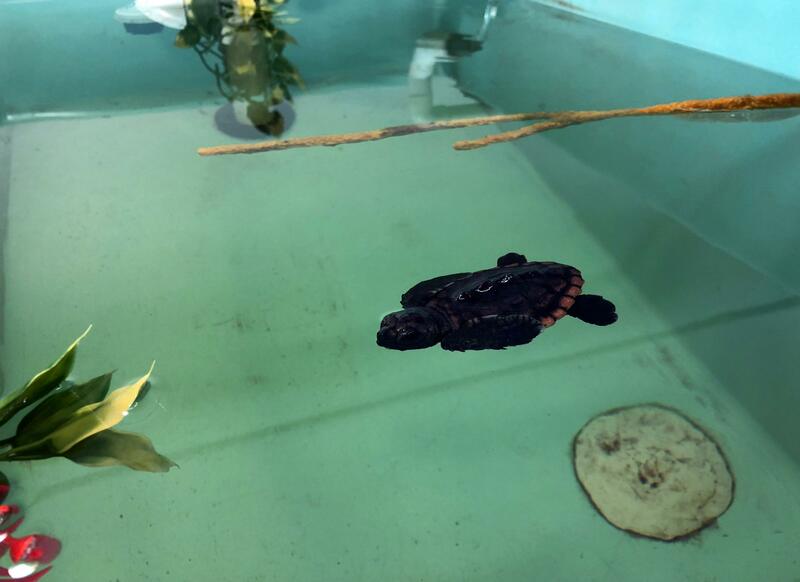 Lefty, a 3-year-old loggerhead had an injured flipper when it was a hatchling. 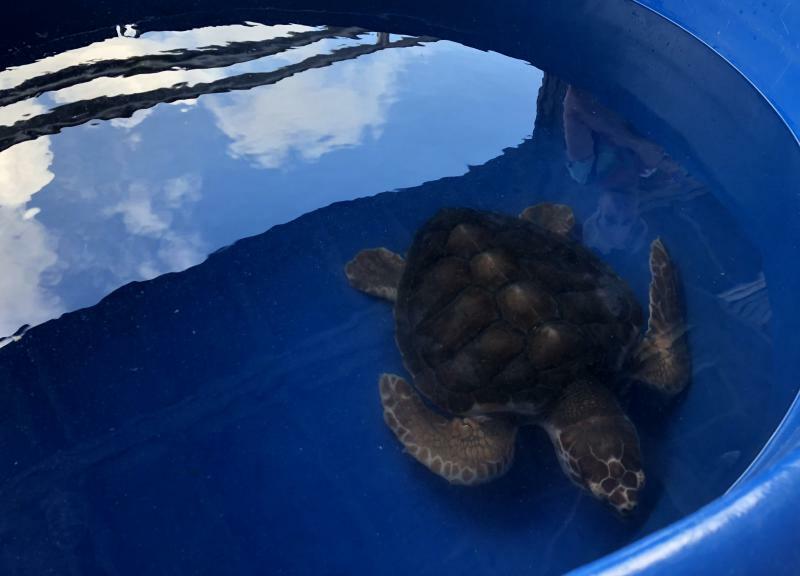 It spent three years at the aquarium, growing, learning how to catch food and teaching visitors about loggerhead sea turtles. 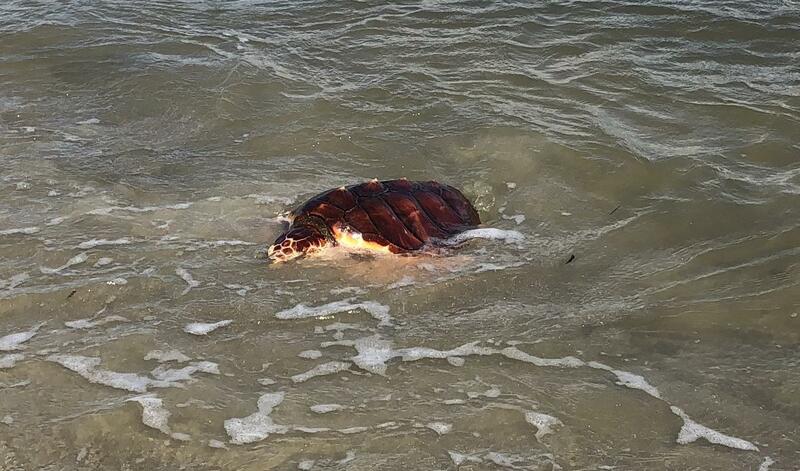 She will be released into the ocean Sept. 6, 2018. 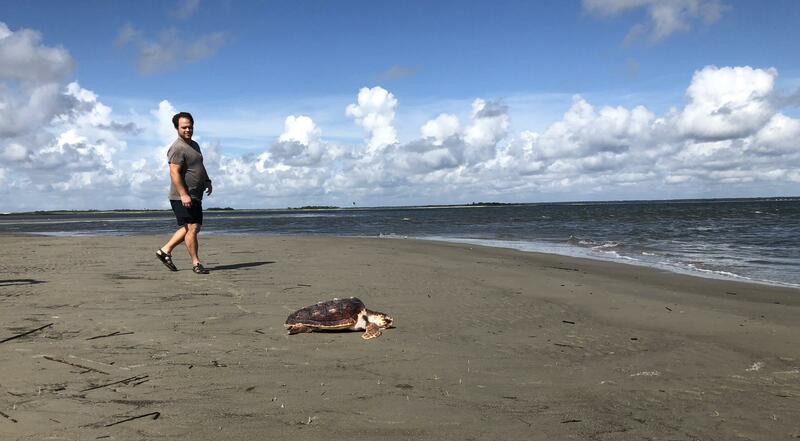 Aquarium curator Devin Dumont carries Lefty to the boat where the turtle will be placed in a blue tub of ocean water before making the 8-mile trip to Wassaw Island. 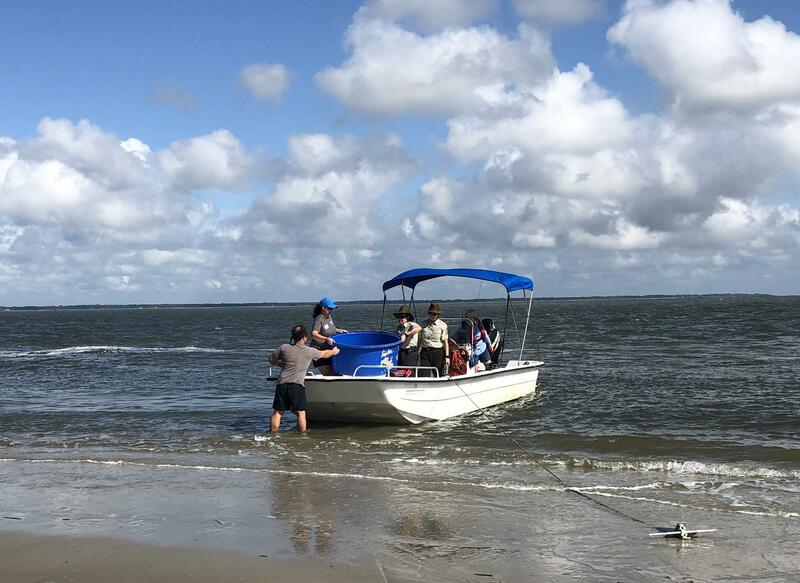 Devin Dumont and fellow aquarium curator Lisa Olenderski unload Lefty from the boat onto the beach at Wassaw Island, a barrier island off Georgia's coast. 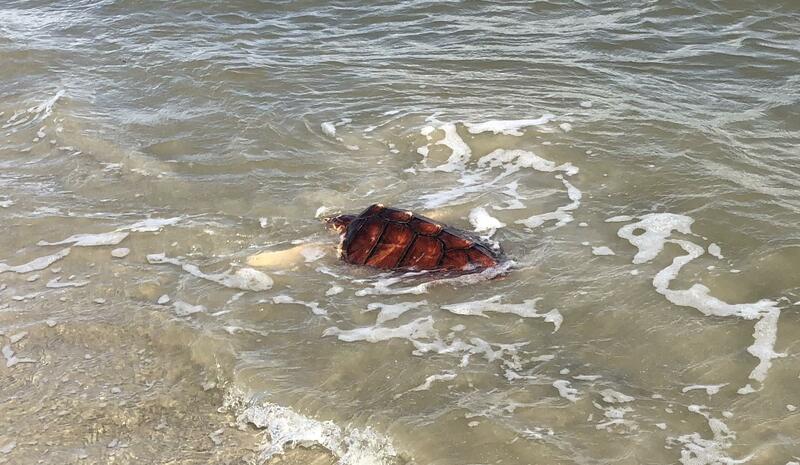 Devin Dumont watches Lefty experience the beach for the first time since it was a hatchling. Scientists cannot tell whether the turtles are male or female, hence the use of the term "it." 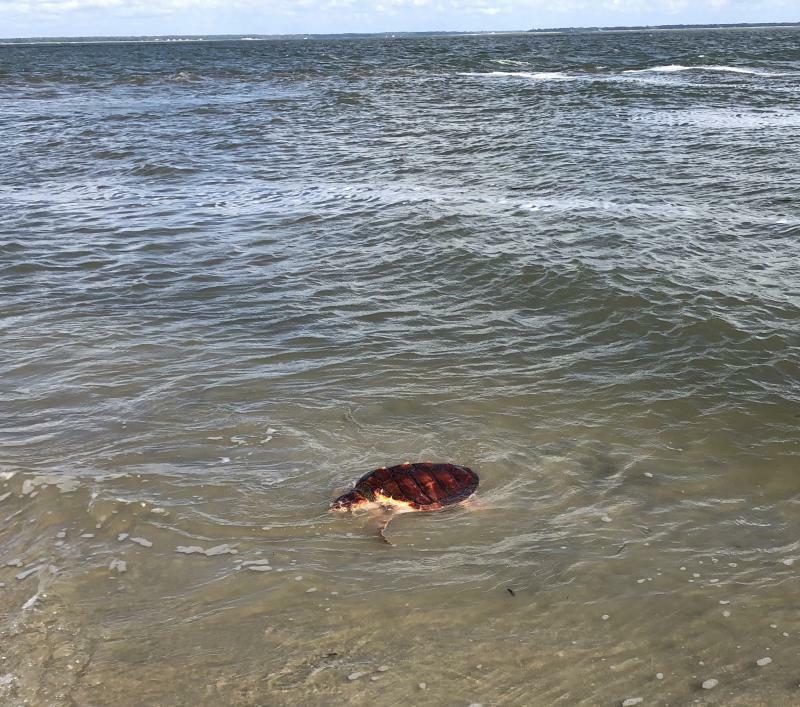 Lefty the loggerhead turtle on the beach at Wassaw Island. Lefty getting the hang of the ocean before heading out into the deep. 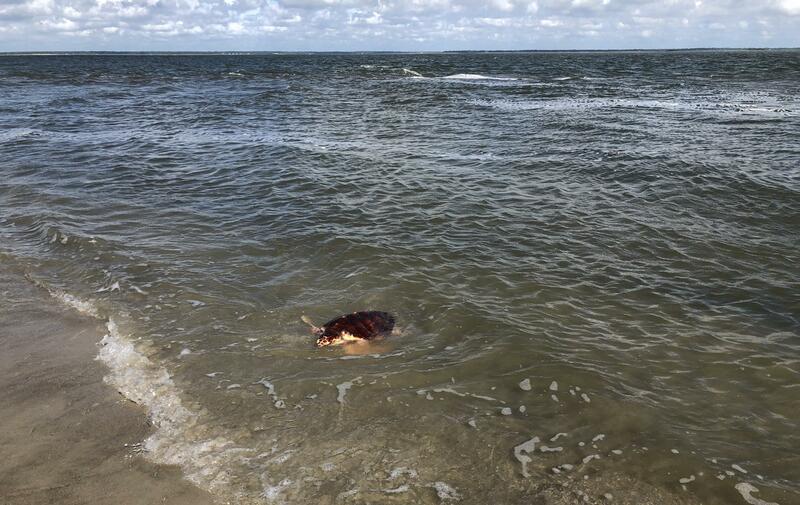 Lefty returns to the Atlantic Ocean. The number of nesting sea turtles along Georgia’s coast is down again this year following a record set in 2016. But that may not be something to worry about. When you look over a 30-year span, the numbers are still trending upward. Mark Dodd is director of the Georgia Department of Natural Resources Sea Turtle Program. 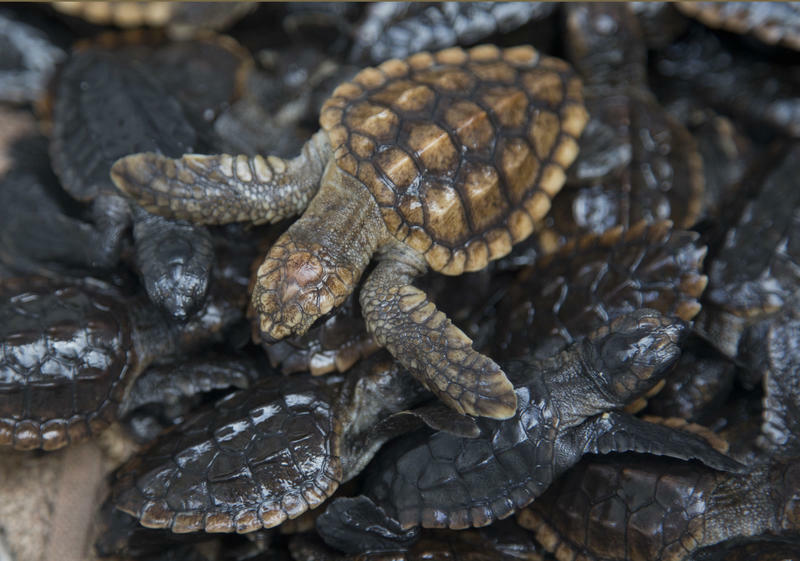 Baby sea turtles will continue to make their first crawls to the ocean through October. 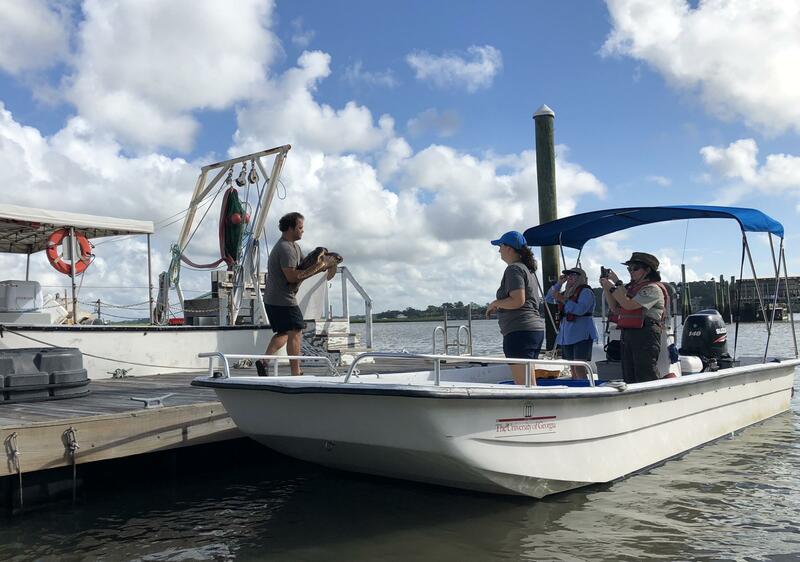 On Thursday, workers from the University of Georgia's Marine Extension and Georgia Sea Grant aquarium near Savannah released an ambassador loggerhead sea turtle named Lefty. 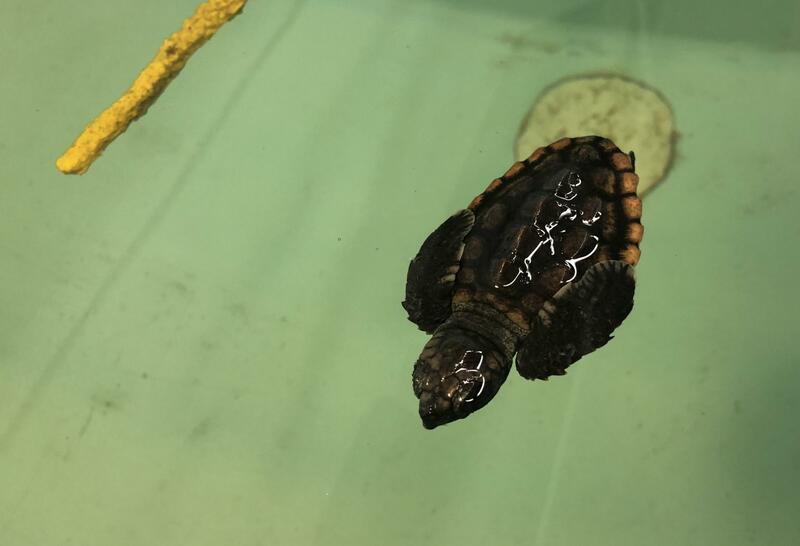 Browse the slide show above for images from the release at Wassaw Island and meet the aquarium's newest sea turtle ambassador, Neptune the loggerhead hatchling. 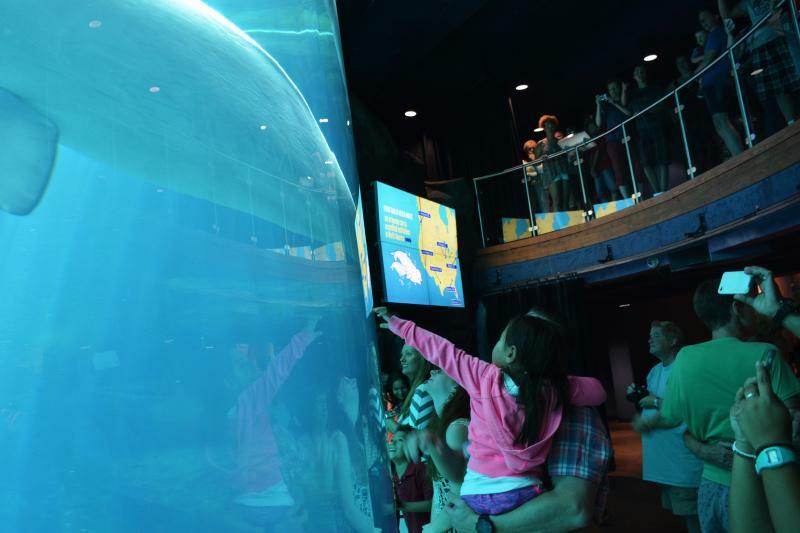 Whale economics: it’s something you’ve got to think about if you’re running a facility like the Georgia Aquarium. They spent $6.5 million over four years trying to import beluga whales from Russia only to get blocked by the federal government. Now, they’ve said “no” to collecting wild belugas. Instead, they’re trying to keep their whale exhibit afloat through breeding and trading. But what’s the cost of a beluga? Where do you even get one? How’s the whale market looking these days? What makes a group of animals genetically similar to each other? Traditionally, scientists have thought that animals living near each other are more likely to have things in common genetically. Another explanation is that animals living in similar environments — like high altitudes or hot temperatures — might evolve in similar ways.